Trades may not be as exciting during the winter as at the July 31 deadline, but the offseason is always bursting with trade rumors. This year is no exception, especially considering how weak this class of free agents appears to be. Teams that have holes to fill may not want to throw money at poor solutions, and instead turn to other clubs looking to rebuild and reload. So which players could be on the move? The Yankees and Astros got the ball rolling Thursday when Brian McCann went to Houston, but there are a lot more moves out there waiting to be made. Let’s take a look at 10 guys who may find themselves in a different uniform once the spring rolls around. There have already been whispers that the Dodgers are interested in him, and expect more whispers to follow. With the Tigers seemingly committed to getting younger and cheaper, a number of their established stars could end up moving on. Kinsler, with two affordable years left on his deal, would be appealing to a team wanting to bulk up its infield offense while simultaneously netting the Tigers a nice haul in return. Of all the players the Tigers could trade, Kinsler makes the most sense. 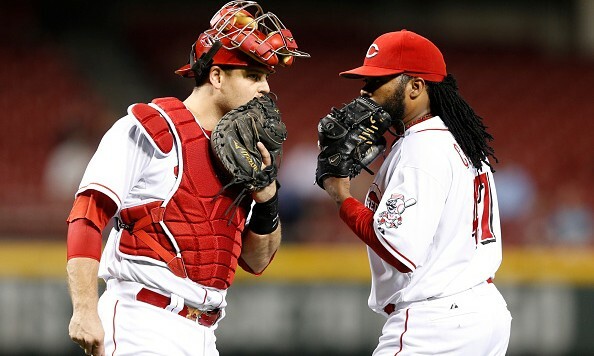 The closer market will likely be out of control this winter with teams more than willing to hand out huge deals to Aroldis Chapman, Kenley Jansen, and Mark Melancon. A small market team with an elite closer on a team-friendly deal would be wise to see what they could get for him, and Kansas City finds itself in that exact position with Davis. With so many teams looking for bullpen help, the market for Davis should be robust. And with major free agency decisions looming for the Royals in the next few years, restocking their system should be a big priority. Davis could be the biggest chip used to accomplish that. Teams searching for a starting pitcher this winter are being met with a flaming dumpster fire of options, their only choice being which mediocre starter they want to severely overpay. The White Sox could take advantage of that by offering up one of the best starters in the league. The return for Sale should be enormous, considering how good he is and how bad the free agent options are this year. The Sox are inching closer to committing to a rebuild, and dealing Sale would jump start that process. He’s the kind of player that could bring back a package of players that could help Chicago for years. The Indians find themselves in the same place as the Royals, a small market team holding one of the game’s elite relievers in its back pocket. Miller proved himself to be one of the game’s most elite weapons this postseason and his market should be huge. The Indians are coming off of a World Series appearance and are still a strong team, but they also have to keep an eye towards the future since they can’t compete with big money clubs. Miller’s value will never be higher, and the Tribe could take advantage of that. Just like the Indians and Royals, the Rays are a small market team with something a lot of other teams want. Archer may not bring back the same return as Sale, but he has a ridiculously team-friendly deal that runs through 2021 that should appeal to any contender looking for starting pitching. 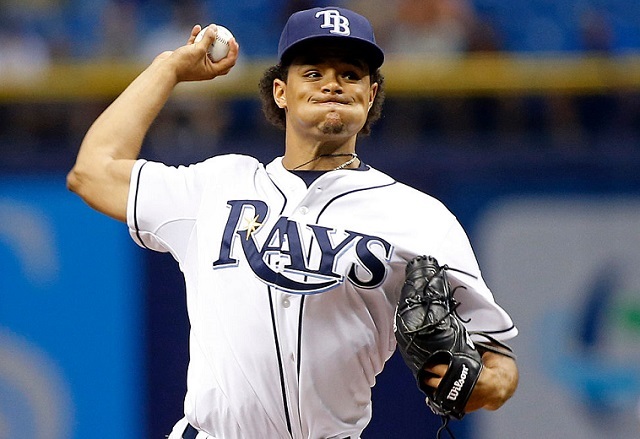 Tampa Bay can absorb the hit to the rotation, and Archer could bring back a number of useful pieces for a franchise that constantly has to remake itself. Braun’s no-trade clause might complicate things, but this could finally be the time the Brewers move on from their tainted slugger. His name came up in trade talks over the summer, with reports saying Milwaukee was thiiiiiisssss close to trading him to the Dodgers. It’d make sense to see what he might bring in a trade, especially after teams miss out on Yoenis Cespedes. Braun may have a checkered history, but he’s still a dangerous hitter in a market that’s bereft of them. The guy who was almost traded for Braun. Even if the Dodgers and Brewers don’t match up on a deal, Los Angeles could still explore the market for Puig once the dust settles on the Cespedes market. Puig redeemed himself somewhat last year after a stint in the minors, but the Dodgers may simply be sick of his act and ready to move on. There would be a market for him, and he could bring back a nice return. Last winter’s spending spree did little to help Arizona’s fortunes, and after significant upheaval in the front office the team might be looking to cut payroll and shake things up on the field too. They’d have to pay some of Greinke’s humongous salary to get out from under his contract, but they might not find a better market in which to trade him. Teams will be desperate for starting pitching, and if they can get someone with Greinke’s pedigree at a reasonable price they might be willing to jump. 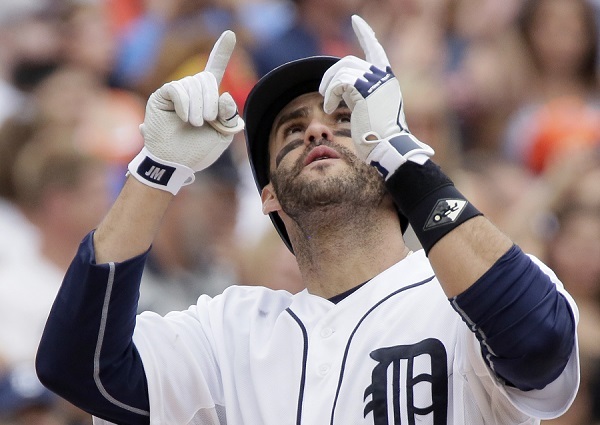 He’s relatively young and still productive, and if the Tigers are serious about rebuilding they’d be wise to see what Martinez would bring back. Like Milwaukee and Los Angeles, they might wait for Cespedes to sign before truly testing the market, since there are no other significant corner outfielders of note to be had in free agency. Martinez might be the most appealing option on the market considering his age (29) and the fact that he has only one year left on his deal. It seems like the A’s would be selling low on Gray, but there are teams out there who would see his down year as an aberration and bet on his talent instead. This is exactly the kind of market that Billy Beane should take advantage of in order to do what’s best for his perpetually rebuilding team. Moving Gray wouldn’t be popular with A’s fans, but they should be used to unpopular trades by now, right?